This may not be a common problem, but it has been a bit of a nuisance for me, and I may have found an answer. This is a 250ml sample tin of interior housepaint - that's (like) wall paint - from Dulux's excellent colour-mixing service. The hardware shop in our village has the special machine, and sells this stuff - which is a remarkable stroke of luck, as anyone who has seen our village will testify. These sample tins cost just a few quid each, and I use this paint for my (Old School, boring) figure bases and my tabletop and I use lots of shades for scenery and buildings. It's great stuff - cheap enough to slap on or dry-brush, and I've never had problems with it. Except one - for colours such as the Crested Moss #1 base shade, I use smallish amounts, very frequently - a 250ml can would not look at a complete repaint job for the battleboards, obviously, but it will keep me going for a year-or-more's worth of bases and touch-ups. There is the rub, brothers - the metal lid gradually distorts with repeated opening until it is no longer a good fit, and - worse - the inside of the lid rusts, and flakes of rust contaminate the paint. You can't lift off or just stir in the rust flakes and ignore them - if any rust finishes up near the finished surface you will get a brown stain - don't you worry about that. Typically, for my most frequently-used colours, I throw away about 40% of a tin. Given how cheap the paint is (by Foundry or Vallejo standards) this is not a big problem, but it certainly is a problem at 4pm on a Sunday when you find you are not able to complete the quick basing session you had hoped to squeeze in before dinner. Not so fast, old boy - it's down to the jolly old village hardware store for you tomorrow. OK - enough griping. I have thought for a while of transferring some of my more frequently-used Dulux "scenery shades" into plastic pots, and have kept an eye open for such a thing. 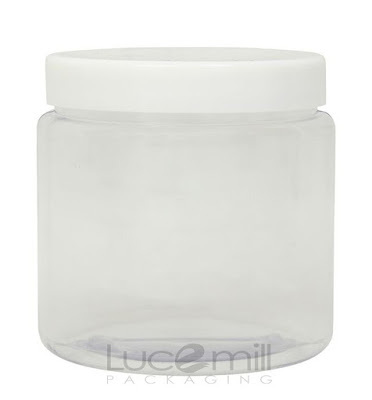 The Contesse spotted these online - a pack of 5 x 250ml clear plastic pots, with watertight, plastic screw-tops (or 10, or 20 - OCD heaven...) will set me back about a pound each, including postage. One pound is less than the value of the paint I throw away, and then there's the convenience of being able to see the colour, so I can remember what Spring Breeze #3 looks like without putting a daub on the lid. Also, if I take a bit of care keeping the lid clean, I should do away with the poor seal problem. In a spirit of helpful camaraderie I draw these pots to your attention. If you have been using them for years, please just smile patiently and move on. I have a similar obstacle with my tins of Minwax stain. The tins seems to get beaten up and damaged before I can use up all of its contents. Since the stain is fairly caustic, I don't believe a plastic container is an option for me. My problems have been lessened with the purchase of a large rubber mallet and the foresight to take care in cleaning the lid and rim before resealing. Well done to Madame for spotting these - I've ordered some!